Have a creative writing essay due soon? Our film & theatre studies guide covers both long-term strategies to writing essays and emergency tips for extra quick writing techniques. Read on to save yourself and let creative juices flow. Creative essays are an all-time favourite. They are spontaneous essays with no restrictions, guidelines or structure.Creative essays are non-fiction essays written from the point of view of the author. They are aesthetic, imaginative and as far as non-fiction can allow, factual. Creative essays include; memoir, biographies, book reviews, travel reports. Other forms of fictitious creative writing include; short stories, poems, hybrid essays, dramatic monologues, plays and flash fiction. However, all creative essays have one thing in common: they are all focused on telling a story, whether real, imagined or both. As fun as creative writing may be, a lot of folks still struggle to get a piece out. This is because unlike most essays, creative essays are written from the heart and depend majorly on originality and imagination. So, before we get started, my first advise will be this: write from your heart. These are a few of the questions to put in mind before writing a creative essay. Like it was said before, write from your heart. It is easier to tell your story than tell someone else’s. In telling your story, you can easily draw from the rich store of memories, personal experiences, imaginations and dreams you have. Take time to brainstorm. Think about what you want to write on. Most times in a fit of excitement, you may be tempted to start writing immediately without thinking through. If the idea is not deep and sustaining enough, the flow of ideas may cease and you may be disappointed or discouraged to continue. Take a walk. Go to a quiet place or go to your favourite spot to get your muse on. If you keep a journal, now is the best time to read it to recollect memories and gather inspiration. You may want to read a few pages of your favourite book or literary journals to get inspiration, watch your favourite movie or put your favourite song on replay. Soon enough ideas will begin to trickle in: it may be a dream you had, an idea, a memory or interactions with your friends and family. Get out your writing materials and pen these ideas down. Ideas are fleeting and may come in with such a rush yoyo may forget them. You will want to capture as many as you can on paper. Don’t be bothered if your ideas don’t have a flow or structure. There are no worries, let them be as loose and as spontaneous as they can be, when you begin to write you will see them take form. Over time, the more you write, the more you will be able to arrange the flow of your ideas and put them in order, even in the first draft without having to write a second draft. A life turning experience: accident, death of a loved one or a near death experience. A book report on an engaging book you read during the course; perhaps a compelling story from Charles Dickens, Jane Austen or Toni Morrison. As the ideas trickle in, don’t be in a hurry to put and arrange them into paragraphs or structure them. You may stifle the stream of thoughts that come in. Before you set out to start writing, do following steps. Write as much as you can, as fast you can. This is called speed writing. The aim of speed writing is to get your natural voice and flow. Sometimes in an effort to make the first draft coherent and “creative” you may alter your writing voice and sound like some popular creative writer. Because you are not being yourself, you lose your writing voice and make a poor imitation of a skilled writer who took time to develop his own writing voice. Patiently develop yours too. Write freely and try not to bother if the piece is not logical or coherent enough. Stay on track and see where your train of thought takes you. You will be pleasantly surprised. So you have a story you want to tell, and just enough framework to build your story. Where do you get meat to add to your skeleton? Research. You may not need to browse the internet to get the information you need. Interviewing friends, families, cross checking dates, tracing family trees and scouting old newspapers are just a few of the methods of researching information to add to your story. Research adds depth and originality to fiction writing and makes non-fiction writings verifiable and factual. If you plan on writing a biography or a book report, take time to research on the author you wish to write on. Of course, you can’t cover the entire aspect of the person you wish to write on, so how about covering a significant aspect of the person’s life? Was the person engaged in a social reformation? Do you love the person’s style of writing or use of words? Is there an aspect of his personal life that means something to you? Go ahead and delve in detailed research. You don’t want to mar the image of the author because of inadequate research. The importance of a journal can never be over emphasised. Journals help you build patience, consistency, good observatory skills and an ability to write whether you are inspired or not. Journals also make excellent muses when you need inspiration to write. Reading through past writings can birth ideas that make good foundations for a different story entirely. You don’t have to record day to day experiences, you can record dreams, memories, quotes, phrases and songs that strike deep chords between you. Record moods, feelings, observations and certain bouts of ideas that seem to pop from nowhere. When you write your creative essay and you seem stuck, get out your journal and write anything that comes to mind. In your sketch, make these four parts into headers and list the necessary points under each. You will learn how to develop an outline as you read on. The first draft may be just as messy as the free writing. Not to worry. The aim of the first draft is to arrange sentences into paragraphs that are logical and flow into each other. You write freely, but with focus. Use the sketched outline as a guide, building slowly on the points listed under each heading. Don’t worry about grammar, spellings 6 and punctuation. Just focus on writing out your ideas logically. Titles should be catchy. A good way to do this is to use short sentences that sum up the essay. Sentences could be made of two or more sentences, usually beginning with an article. For example: A Forgotten Memory. The Scary Dream, The Cafeteria, The Three Brothers. Another way to create catchy titles is using figures of speech: metaphor, personification, oxymoron, paradox, hyperbole is just a few of the figures of speech to use. For example, A Nest of Lies, Chasing Shadows, The Tall Tale. The title could be gotten from the subject matter itself. For example, My Father, My Favourite Author, My Favourite Thinking Spot. The title can be lifted word for word from the source of inspiration; a quote, a song, a book or a movie. For example, As you Like it. 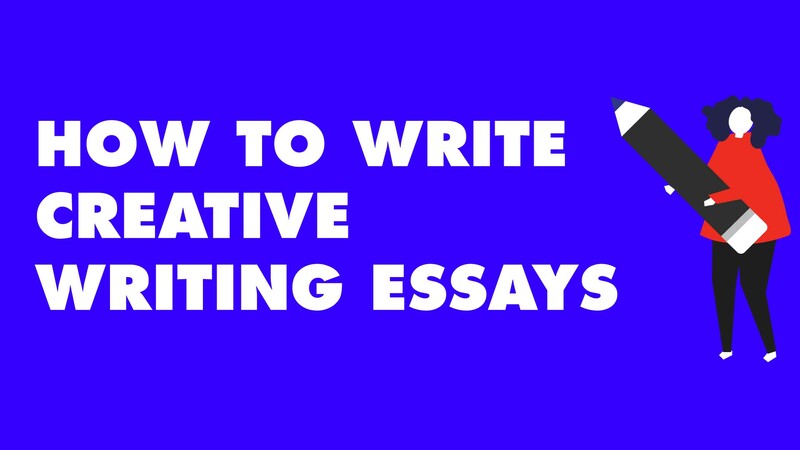 There are no hard and fast rules on how to introduce your creative essay. However since it’s a short story, it’s better to get right into the action without wasting time. In the set up, you introduce the setting of the story, the characters involved and how they relate to one another. Also introduce the scene of the story; describe the time, day and environment where the story takes place. Introduce your main character and the other supporting characters that build up your story. Engage the senses of your readers by using vivid descriptions or narratives, imagery and appropriate tone. In the introduction, your readers should be able to infer a plot development from the description you have given. The body consists of paragraphs that are chronological and connected. Slowly build up the plot in the body or change the mood and setting of the story. The body also contains the confrontation, which is the turning point of the story. The turning point could be a point of conflict when things suddenly go the opposite way, or when the main character faces an opposition or challenge. This moment can build up tempo gradually or suddenly come out of nowhere, it all depends on how you want to write it. In this part, the conflict is resolved, either completely or partially. The drama in the story sharpens, settles down then reaches a peak. Some writers make use of cliff hangers to whet the appetite of their readers and keep them hungry for more. It all depends on how you want to tidy up the story. Be sure to do justice to all your characters in the story. So you are done writing your creative essay. What next? It may be hard to take a break after completing your work. You may be so excited and in a hurry to get your essay submitted or published. No rush. Take a mental break and file your work away for a few hours or days. You will want to rest your mind so that the next time you get back to the work, you see it with fresh eyes. That way you begin to notice errors, bulky paragraphs, overflowing sentences and redundant words that either add bulk or don’t fulfil the original intent. Who knows you may see a better way of telling the story and start all over. Read your story critically. Are there overflowing sentences, dead words, redundant paragraphs? Is the story too loose and flabby? Can you rewrite it in a more compact way? Then get back to rewriting. Seasoned writers know the story is not in the first or second draft but in the third and fourth. The more you rewrite the more you chisel away flab and fluff and refine existing ways of telling the story. Make each word earn its space on the page. Or perhaps you discovered a better perspective of capturing your story, don’t be scared to haul out the work and start from the top. It will be worth the effort. Give your work to a second party to read. You may not be as critical as you ought to about your writings and a second pair of eyes may just be what you need to highlight errors. Don’t take corrections and criticism too hard, welcome them. They may be just what you need to give your work the shine it needs. A lot of people forget to format their writing according to the editor’s/teacher’s specifications. This can be the reason why your work is rejected or poorly scored. Before submissions, take time to note the required formatting for submissions. Font type, font size, line spacing, page numbering and use of headers are a few of the specifications to have in mind. Creative writing essays are fun to write. Spontaneity, variety and freedom of expression are a few of the characteristics that make these essays an all-time favourite. The key to writing successfully is to write from the heart. Once you have a sufficient pool of thought and ideas to draw from, it gets easy from there. Research, free writing, sketching, outlining and writing the first and second drafts are just additional tips to help you refine and sculpt your ideas. If you have a hard time coming up with an idea, start keeping a journal today. You will be amazed!